Meeting the Most Stringent Industry Standards. Quality is at the core of Fexco’s commitment to our clients. The Voice of the Customer is the driving force behind all activities while our approach is to work collaboratively with our clients and integrate their requirements into our continuous improvement model. Our policy is to meet and exceed customer expectations in terms of quality, service, innovation and value on behalf of our clients. At Fexco, we recognise that our people are at the core of our success. Many things in business can be copied but one thing that cannot be, is our people. By partnering with MBSO your business will benefit from Fexco’s long history and track record of innovation, brought about through the combined contribution of its employees. We believe that it is vitally important that we provide the structure for everyone to perform to the best of their ability. As part of our Employee Engagement Model, we carry out a bi-annual survey focussing on our core values, career progression, recognition and peoples’ views on our leadership. The results feed into our Learning and Development program. We are currently implementing the Oracle e-learning management system. This features the ability to quickly build a bespoke module customised to our clients’ requirements and drives continuous improvement. As part of our Talent Management programme, we use best practice competency assessment and the output feeds into the personal development program. We believe that 66% of all roles should be filled from internal talent. As a result we have a high retention rate and a great skills pool. We use NLP as part of our training approach as it helps to heighten awareness to the correct behaviours in both aural and written communication. We believe that customer behavioural patterns can be learned through communication and experience and that we can optimise the Customer Experience and achieve improvements in Net Promoter Score. NPS is a cross industry metric which measures customers’ sentiment to your service and ultimately, your brand. We have a solution that measures NPS and can also put a notional value on score movement. Best Training Programme (HETAC Level 6 Sales Through Service Programme) 2014 shortlist. Fexco was highly commended for this programme. The judges highlighted how they were “particularly impressed with how employees across the organisation, including the frontline staff in Fexco are engaged in shaping and refining business process in order to drive improved customer experiences. It is refreshing to observe a culture where frontline staff actively operate as customer advocates and where input and contribution truly does make a difference. This year Fexco’s MBSO division won an Excellence in Managed Business Solutions and Outsourcing award within the Public Sector. 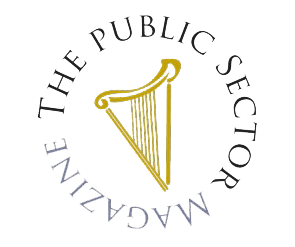 Presented by Public Sector Magazine, Fexco won this award based on its outstanding service, continuity, track record and general excellence in business to public sector organisations. We are extremely proud of the results of the 2014 CCA audit of Fexco MBSO. 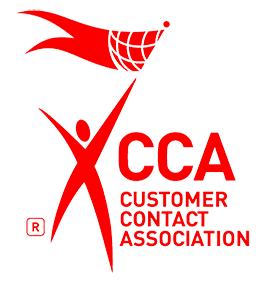 The CCA assessor stated that Fexco has moved from the top 10% of organisations assessed, to the top 1% in the industry.